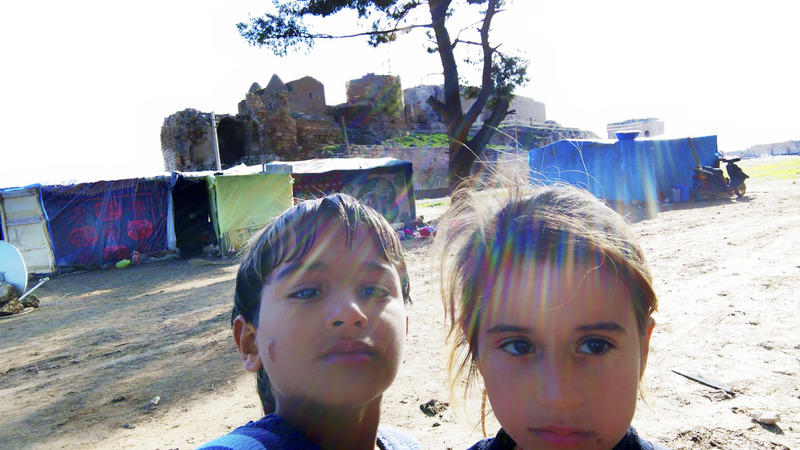 They have been refugees in Harran, Turkey for the last 2 years. What happened the day they left is still a sharp memory in their mind. They were watching a Garfield cartoon on tv, they love it, when their father came home early from work. He said they had to go, took them, the other two brothers, her wife and drove to the border with Turkey. Their father held them in his arms and handed them over to the border guard, asking for help. They live in a hut near the Castle of Harran, southern Turkey. Hamed and Emira sometime go inside the ruins of the castle, looking for trasures.